Central Township embraces the two Congressional townships forty, range four, and forty-one, range four. It occupies the central part of Jefferson County. 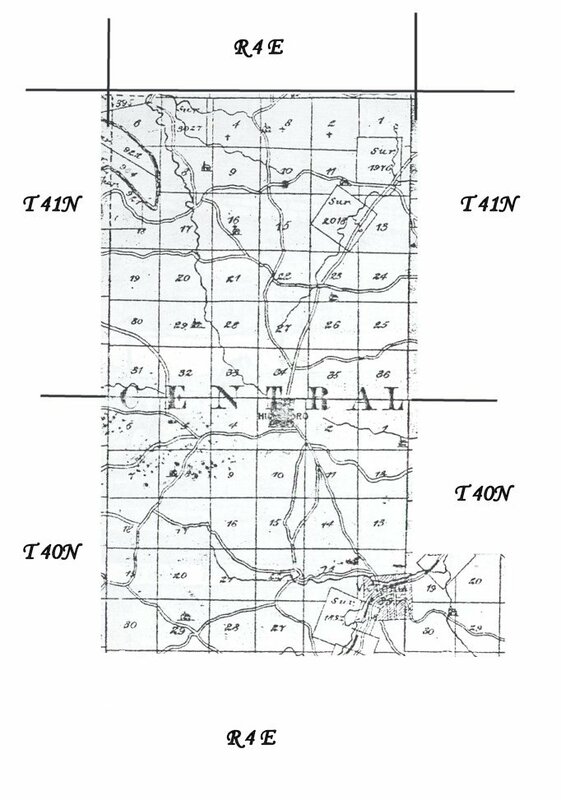 In this township few early settlements were made in comparison with the other townships of the County, its territory being mostly made up of upland, and earliest settlers commonly choosing the water courses and creek and river bottoms. The south-east corner is intersected by the Joachim and the opposite angle of the township by Big River. Dry Creek, Belew's Creek and Sandy Creek, all have their rise in the elevated ground toward the center of the township on which is situated the County seat - Hillsboro. Families by the name of Huskey were early residents on Belew's Creek; and of the Williams and Ogles, several families of each lived within the limits of this township on the head waters of the Sandy. In the north-east corner of township forty-one, range four, David Boyle was one of the pioneers. He lived there with a family consisting of a wife and six children. © 1995-2015, Jefferson County Genealogical Society, All rights reserved.